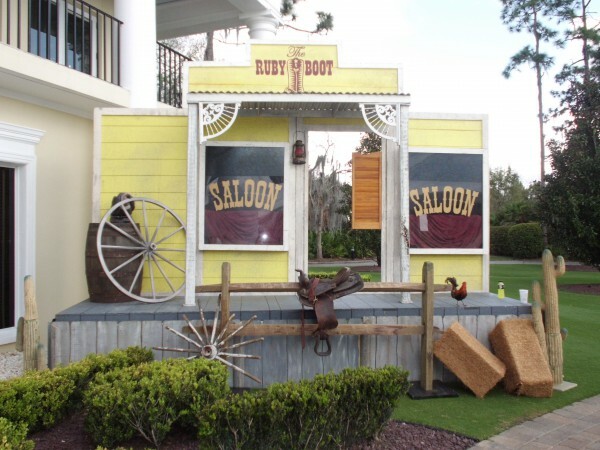 Our “Ruby Boot Saloon” set the western scene as the guests entered the event lawn. Complete with swinging doors, saddles, wagon wheels, and the like, the saloon facade looked so real, a cowboy could have walked out at any moment! You can’t have a western event without the Chuck Wagon buffet! A 12′ long sideboard table is on each side of the wagon, serving as functional buffet space. 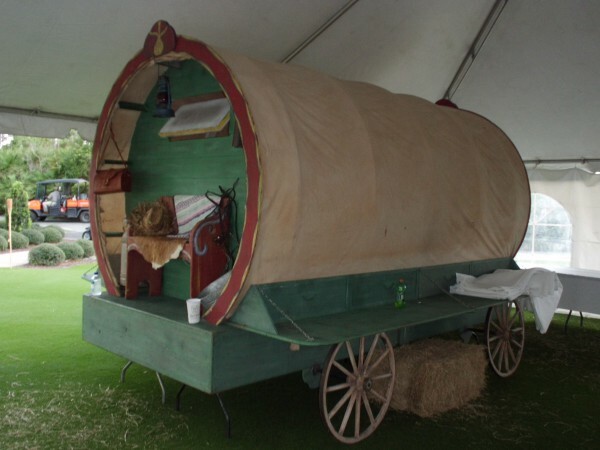 The wagon itself is a staggering 9′ high and 12′ long, making it a key feature to the event! 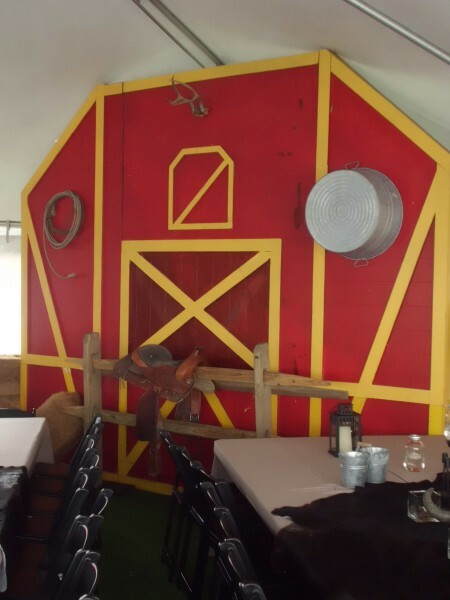 The 12′ high by 16′ wide barn facade set the backdrop for the corner area near the tables. The facade was decorated with split rail fencing, galvanized tubs, and other accent items to really make it stand out! 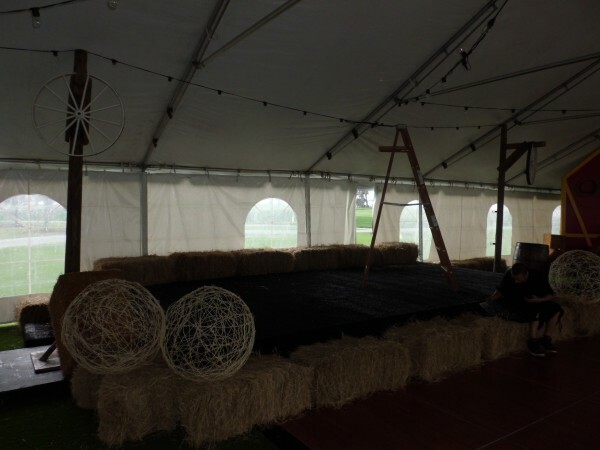 String lighting was hung from rustic timber posts and tent supports to create a canopy of light above the stage, dance floor, and tables. Even though the weather didn’t want to cooperate, our team had a blast working with AKV Events to make sure the party was a success no matter what!